Knight Industrial Services Logo, a photo by Knight Industrial Services on Flickr. 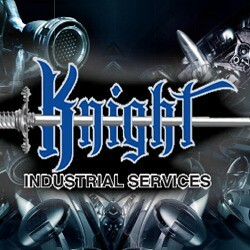 Knight Industrial Services offers sandblasting, painting, insulation, fireproofing, soda blasting and scaffolding. Our commitment is to our customers. Our services are offered at the highest quality possible, reasonably priced, and within the time frame desired.